Filtration helps to ensure the quality of your water and protects your irrigation system from becoming clogged by soil, water or air contaminants, reducing costly replacements and unnecessary downtime. 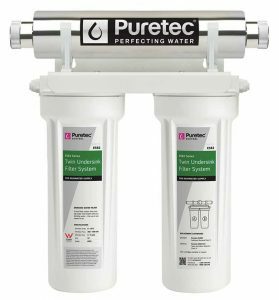 We supply domestic filters from many leading brands and have a strong partnership with Puretec. We also supply a range of water treatment products including water tank treatments. Contact us today for your filtration requirements on 1800 571 812.